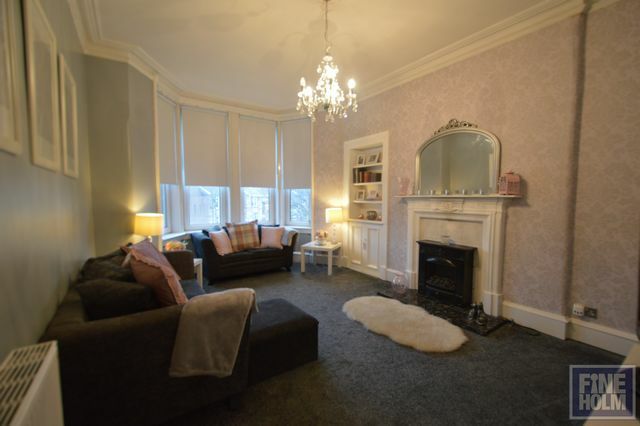 Fabulous and spacious one bedroom tenement in this quiet spot in Cathcart. It is offered fully furnished and will make a fantastic place to call home! It comprises entrance hallway, kitchen with cooker, oven , washing machine and fridge/freezer, rear facing bedroom with generous wardrobe space, bay windowed living room with open views and bathroom with shower over bath. There is a small hallway leading to the bathroom which has great additional storage. This flat is immaculate internally with a really cosy feel. GCH. Double glazing. Tankerland Rd is within easy walk of Cathcart train station, with many shops, cafes and delis nearby. Street parking.